Are you confused in choosing between a really big TV or a projector and screen for your home theater? On one hand, projectors have become a lot brighter and more economical over the past few years. On the other hand, TVs have also gotten larger and more affordable, with excellent high-definition image quality. Both technologies have pros and cons. Before making a decision, it’s wise to analyze both the options in terms of cost, image quality, installation, sound quality, and convenience. For many, budget is the bottom line. Each of the factors discussed below will influence the cost of HDTV’s and projectors. In general, the higher the brightness and resolution and the better the image and sound quality, the higher the expense. Overall, HDTVs are more expensive than projectors. In fact, for the price of a 108-inch LED, you can buy same screen size HD projector and a good sound system. So, projectors are much more affordable than flat-screen TVs. The most important factor in a home theater is the screen. Projector screens offer much larger images and don’t limit users to one screen size. They can produce images as large as 300 inches diagonally. Such a large screen provides you with a clear and crisp image, thus giving you a more theater-like experience. A high-end 4K UHD TV can also offer exceptional picture quality, but these ultra-large screens can be very expensive. Moreover, HDTV’s have a fixed screen size and their average screen sizes range from 13 inches to 80 inches diagonally. So, in the end, projectors are sometimes favored for their ability to deliver large images and superb image quality. When it comes to brightness, projector systems are not the best option. With projector systems, the brightness often very much depends on how dark the room is. If you have a brightly lit room and cannot dim the lights or close the curtains, the quality of the image will be affected. In contrast, TV’s have onscreen filters that prevent ambient light from entering the display and from interfering with the image. Moreover, most flat panel TV’s in the range of $2,000, have a bright screen and are capable of producing more luminance than projectors in a similar price range. So projector systems cannot beat LED TVs in this respect. TV’s have a simpler setup. Period. They are easier to use and install. It is not that setting up a projector is a difficult task, but it may require more effort and planning. 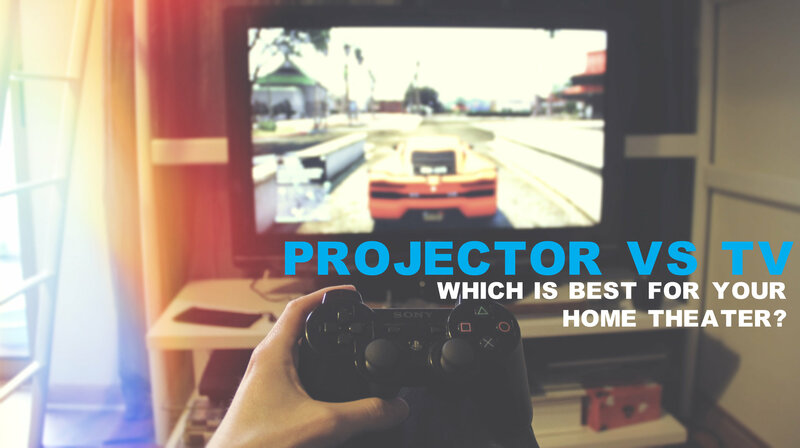 For instance, before buying a projector, you need to decide where you are going to mount it or how big screen you want. 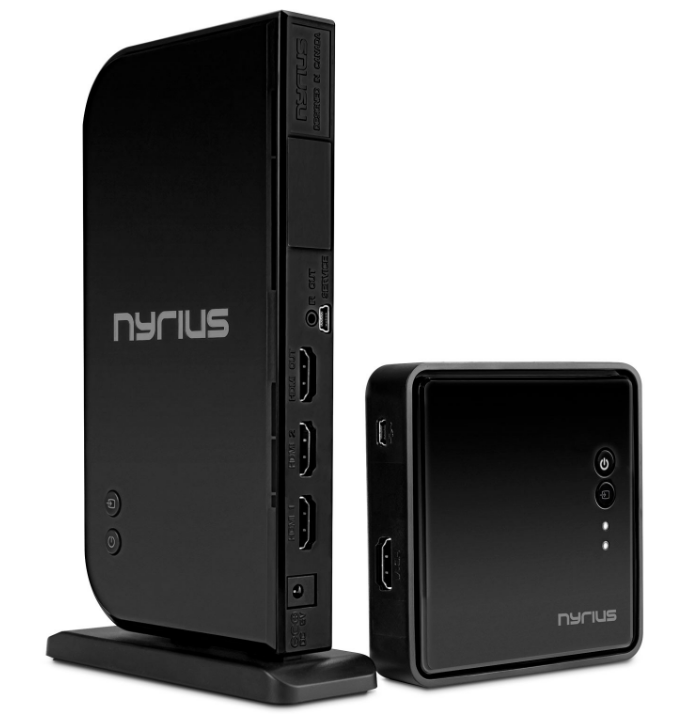 Then there are cables (HDMI, USB, Audio, and VGA) that you need to run from your receiver all the way to the projector, which adds to the cost. On the other hand, with a TV, you do not need an extra screen or sound system. You just have to connect an HDMI cable to your Blu-ray disc player, and you are all set to watch a movie. TV’s are a great and easy option here, as they already have usable speakers. Unlike television sets, projectors generally don’t come with speakers. Some projectors do have built-in speakers, but the sound is (usually) awful. So, with a projector, you’ll need a receiver and a couple of speakers to place alongside your screen. So, when you compare TV’s with projectors, you might prefer a TV since it can handle basic audio needs on its own. However if you are going for a full home theater experience you should consider upgraded audio such as a surround system or a soundbase to give you a full cinematic experience. Projectors use lamps to project images on your screen. Lamps have a shell life of 1,000 – 5,000 hours, which can burn out pretty quickly. As a result, most projectors will require lamp replacement each year, which can be extremely expensive. On the other hand, TV’s will last for about 100,000 hours without any maintenance. In the end, budget and available space are the two main factors that should determine your decision. If you want a projector system, you will need a decent-sized room with plenty of wall space and a solid sound system attached. It’s a complicated setup and a pricey one, but it can give you a more immersive, cinema-like experience for your home theater. However, if you have a smaller room and can work with smaller screen size, then flat screen TV’s might just be your best option. Happy viewing!